The corridor width for the expanded IH-10 west from IH-610 to State Highway 6 will be one of the nation's widest, fully-paved freeway corridors for a sustained distance (10 miles). The existing right of way is typically 250-300 feet (76-91m), but is as narrow as 200 feet (61m) in one section. 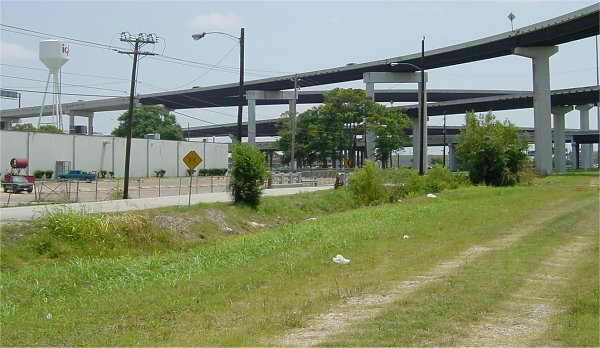 The planned facility between IH-610 and BW8 will have a minimum width of 475 feet (145m) and a maximum width of 530 feet (162m). From BW8 to State highway 8, the right-of-way will typically 435 feet (133m) but has sections up to 455 feet (139m). Approximately 1067 residences and business will be displaced. A unique set of conditions existed to minimize the number of displacements to clear this wide corridor. These conditions probably made the major expansion possible. First, there was a 100-foot-wide railroad corridor on the north side of the freeway. TxDOT bought out the railroad, so right away there was 100 feet available. 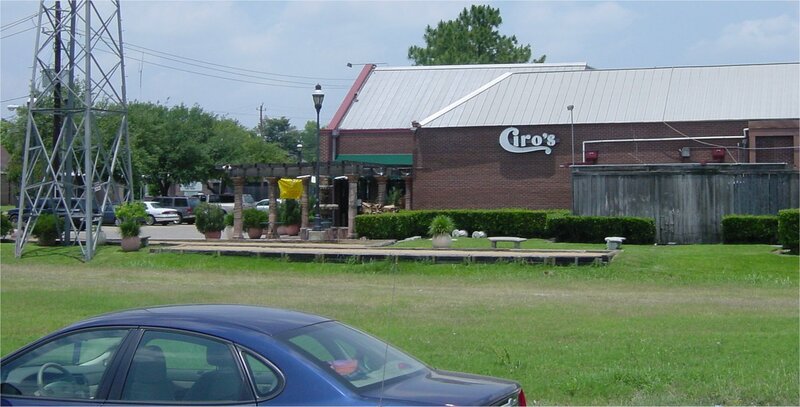 Second, old Katy Road (the old US 90) was on the north side of the railroad tracks in much of the corridor. This provided another 35 feet. However, in some sections, particularly between IH-610 and Beltway 8, Old Katy Road does not exist, and the existing freeway right-of-way is as narrow as 200 feet. 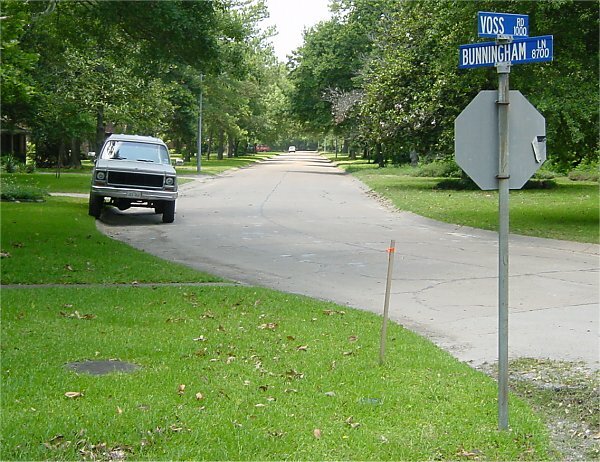 This means that up to 200 feet of right-of-way needs to be acquired in places. 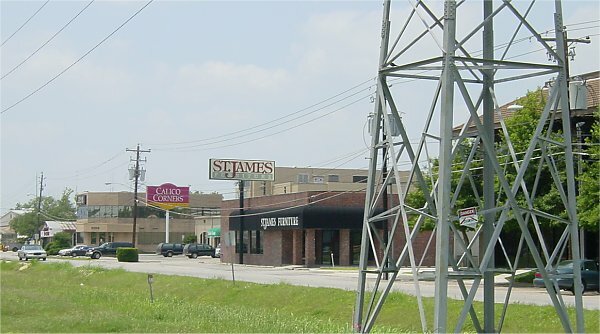 (high resolution 165k) Looking east along the eastbound feeder at some of the businesses to be displaced. In the section from Silber to Wirt, most of the needed right-of-way will be taken from the south side of the freeway in order to avoid a cemetery that is on the north side of the freeway. The south side of the freeway is lined with commercial establishments. Photo taken 20-May-2001. (high resolution 72k) Looking east along the freeway from just west of Antoine. 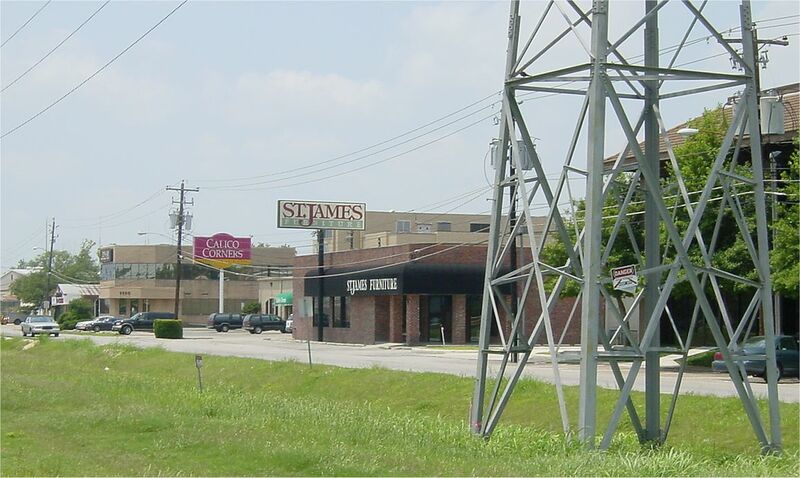 Businesses along the feeder road will be displaced or subtantially affected. Photo taken 20-May-2001. 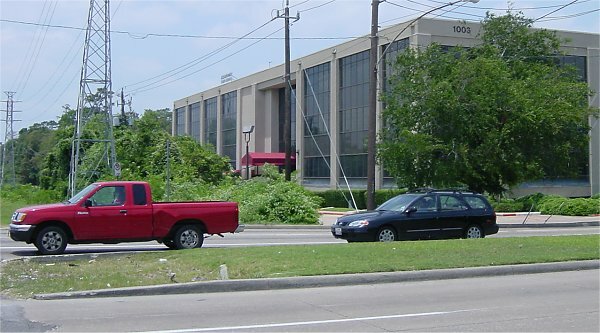 (high resolution 154k) Early plans showed displacement of this office building at the northwest corner of IH-10 and Wirt. However, I do not know if the current plans displace it. Photo taken 20-May-2001. 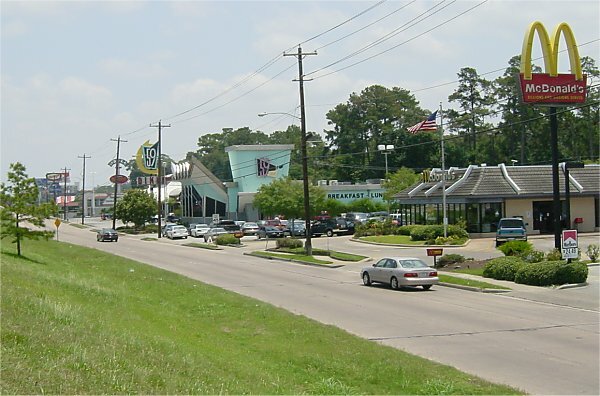 West of Wirt, the right-of-way is taken from the north side of the freeway. 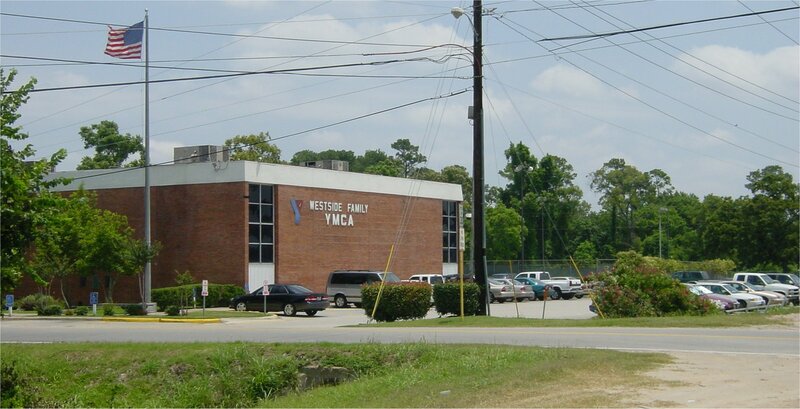 Just west of Wirt is where the affected residential area exists, as well as the YMCA and some businesses. (high resolution 141k) This view looks west along the freeway with the YMCA and the residential area on the north side of the freeway (right side of photo.) The freeway will displace the YMCA and take a chunk of the wooded area. Photo taken 20-May-2001. 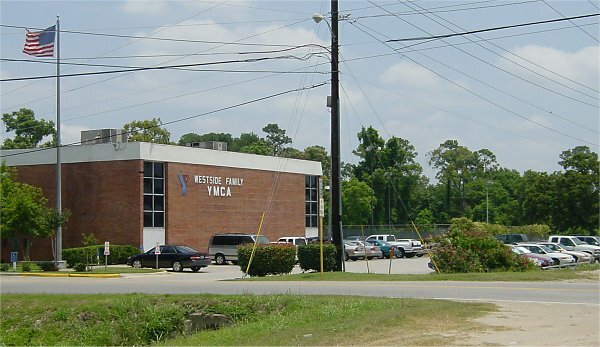 (high resolution 246k) This is a closer view of the YMCA to be displaced. Voss Road is in the foreground. Photo taken 20-May-2001. (high resolution 302k) This view looks west along Bunningham Street. The future westbound feeder road will be built right on top of Bunningham. All houses on both sides of the street will be displaced. Photo taken 20-May-2001. (high resolution 251k) As of May 2001, right-of-way clearance had just begun. This photo shows the first residence on the south side of Bunningham to be cleared. 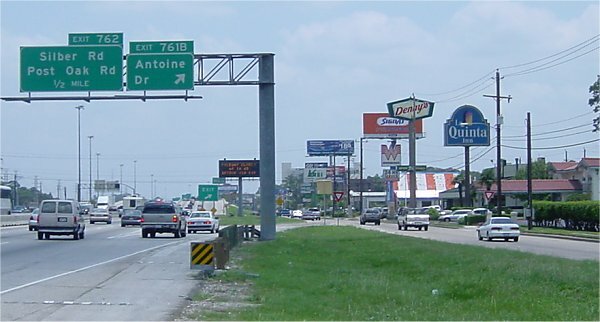 IH-10 can be seen in the background. Photo taken 20-May-2001. (high resolution 275k) This May 2001 shows the first houses on the north side of Bunningham to be cleared. Photo taken 20-May-2001. (high resolution 192k) Moving westward from the neighborhood, this restaurant is located at the northeast corner of IH-10 and Campbell. Bring on the bulldozers. Photo taken 20-May-2001. (high resolution 148k) Moving westward, these business and the office building will be displaced. Also, the high voltage lines and towers will be displaced. Photo taken 20-May-2001. (high resolution 130k) This view looks west on the north side of the freeway, from just east of the BW 5-level stack. This stack, completed in 1989, will be demolished and replaced. So all the ramps shown are goners. The two restaurants also have appointments with the bulldozer. The new westbound feeder will run on the south (left) edge of the restaurants. Photo taken 20-May-2001. (high resolution 182k) This view looks east-northeast from the west side of Beltway 8. The stack ramps will all come down. Even though it is substantially set back from the right-of-way, the edge of the Igloo factory will be clipped by the new right-of-way. I assume that the factory will remain viable. Photo taken 20-May-2001.